In an Arizona criminal case, a defendant may be sentenced to a penalty based on the crime alone. This is known as a presumptive sentence, which is based on Arizona statutes relevant to the crimes committed. Far more likely, however, is that there will be aggravating or mitigating factors that impact how a judge balances facts that can lead to a harsher or more lenient sentence. Here is a closer look at aggravating and mitigating factors in Arizona law, as outlined by A.R.S. § 13-701. Committing an offense in an "especially heinous, cruel or depraved manner"
In addition to this extensive criteria, a past felony history is considered an aggravating factor in Arizona as well. Broadly, then, factors such as these can be used by the court to impose a harsher sentence. 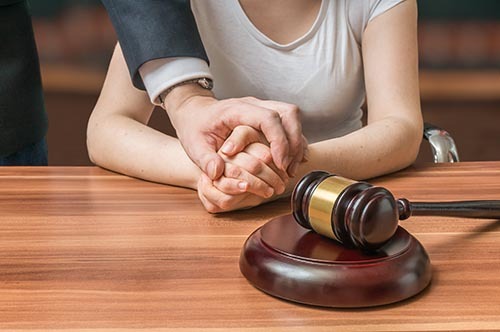 The factors must be reasonable enough to include in a final verdict, which is why an experienced Arizona criminal defense lawyer is an essential ally when the prosecution is pushing for a harsh sentence based on aggravating factors. Additionally, your attorney will also put forward compelling mitigating factors that can support a defendant receiving mercy in the form of a more lenient sentence. Once the aggravating and mitigating factors have been fully laid out by the prosecution and defense, the court will then determine sentencing weighing these factors. The judge will make a determination whether the defendant should receive a presumptive sentence (a default sentence according to Arizona), an aggravated sentence (a harsher punishment) or a mitigated sentence (a more lenient punishment). At Tyler Allen Law Firm, our team will present evidence carefully that shows you deserve a more lenient sentence based on mitigating factors if you choose to accept a guilty plea or are convicted. Contact us to discuss your legal questions about Arizona sentencing law or to reach out for a legal consultation that will protect your legal rights after being charged with a crime.